The iPhone is huge in China. But is it huge enough? Since going on sale on Friday, more than two million iPhone 5s have been sold in China, a record for that market, according to reports issued Monday. 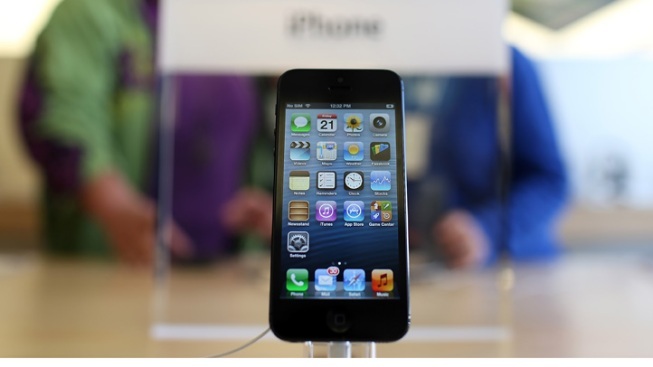 The iPhone 5, manufactured in China, went on sale on Sept. 21 in other countries like Japan, the United States, and European Union nations, the Associated Press reported. In the first three days of sales there, 5 million phones were shipped, according to sales figures. Despite the robust sales numbers, Apple's stock slipped slightly, down $6.85 to $502.94, according to stock reports. Analysts on Monday downgraded Apple's stock, doubting that the iPhone would sell strongly enough to keep shares in the Cupertino company soaring.